The title of this talk appears to suggest that this teaching has two separate parts. Part 1 answering the question…. Does God want us to be successful in our life and ministry or does He want us to attain to something else that is founded on quite a different order of values? And Part 2 which is about our intimacy with Jesus. And indeed at first glance these two topics seem to be totally disconnected but I hope to show that each are linked intrinsically together and that both have a lot to teach us about what Father wants to see develop in us, His Son’s Bride. I want to deal with the second part of the title first ‘The Call to intimacy with Jesus’, for it is one of the key characteristics He wants to see develop in the Bride. He longs to see Her enjoying a deep and very intimate relationship with her Lord and Bridegroom King.This wonderful ‘Bride of Christ’, this precious person that we are a part of and that which is our true identity, Father is birthing as a love gift to His Son. She is the central theme of scripture and the highest expression of God’s creativity. If anything typifies the character of the Church/Bride it is her fascination with and her adoration of Jesus her Bridegroom. She is destined for intimacy with the King. The more we study the relationship that Jesus desire to have with His Bride and She with Him, the more we discover that they are to experience a depth of intimacy which is so precious and so personal that to study it, is to almost feel embarrassed. Even now He is wooing Her and the Holy Spirit is preparing Her. It is this quality of intimacy that marks out the Bride from the Bridesmaids. It will also be a sign of the nearness of the end and the return of Jesus because as His return draws nearer there will be a deepening of that intimacy and an increased focus on our bridal identity. There will be a greater obsession within Her to know Him and to love Him more and more. The end time generation will be marked by a preoccupation with the Bridegroom King and that obsession has already begun to be manefest_. Since the beginning of the 20th century God has begun to renew His Church with refreshings and visitations and renewals of the Holy Spirit that has freed us from religious legalism and dead works. The Holy Spirit had returned to the Church in the first few years of the 1900’s in the form of the Pentecostal movement. 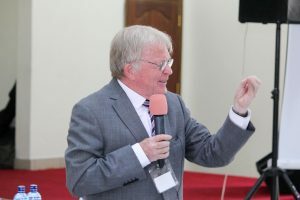 Since then the church has seen many mighty revivals as in Wales in the UK, in the Hebrides in Scotland, in various states of America or in Indonesia or Rwanda and Uganda in Africa. All these came with manifestations of the Spirit with healings and miracles and prophetic declarations and speaking in tongues. But over and above all these evidences of God’s power and presence, the one thing that seems to be common in all visitations was the evidence in the heart of the believers of an increased sense of worship and adoration of the Lord. Never has there been in the history of the Church such an explosion of worship in song and of dance. New ways of expressing worship are being discovered and new songs are being written. Jesus the Bridegroom has been singing over the Church and many have picked up His songs and echoed then back. Worship songs are the songs of the Bride to Her Bridegroom. They are Her love songs. Today we are blessed to have these songs available to us to help us express the most intimate feelings of love for the Lord, a privilege previous generations were denied. Expressions of intimate love feelings for Jesus are no longer an embarrassment. We can publicly express them without fear or hindrance. Towards the end of the 20th Century the idea of the Church as a Bride was more freely being accepted. As we entered the 21st Century we entered the Season of the Saints and the Season of the Bride and books in scripture like the Song of Songs were once more being studied. In the Song of Songs, the Song of Solomon or the Song of the Bride, the intimate relationship between Jesus and His Church/Bride is so beautifully described. For years before many were too embarrassed to read of the love between the two main characters in the book. Jesus is represented by Solomon the King in this book. He is fascinated and besotted by His Bride. She is represented by the Shalumite shepherdess girl but in reality YOU are His Bride and the book is about you and your Saviour Jesus who is your Bridegroom King. It’s a book about His overwhelming love for you. He adores you and sees no bad in you and longs for you to feel the same about Him. They say “Love is blind” He looks at you through the eyes of His intense love for you. You are His only desire. He is so faithful to you and jealous over you and He only has eyes for you. However when the Shulmanite girl and King Solomon first meet in the vineyards, she says of herself, Song of Solomon 1 v 6…. His love has made all the difference. Isn’t that how we are in Christ and isn’t that how He sees us as perfect because WE ARE IN HIM? As their relationship develops His passion and desire for her becomes so intense that He cries out to her, pleading with her not to look at him in the way she does because it ruins Him. It both delights Him but exposes Him and He is made so vulnerable. It renders Him weak and saturated with desire for her. But at the same time He recognises the purity of Her love for Him and realises that She too only has eyes for Him. There is no one else in Her life that captivates Her so. So in Song of Solomon Ch 2 v 14 He gives her a new name and calls her “My dove”. In using this descriptive word ‘dove’ he pays her a great tribute and for two reasons 1) The dove is the only bird that does not have a gall bladder. This part of any bird (chicken etc) tastes bitter and so is often removed before cooking. But there is no gall in her. There is no bitterness in her spirt. She is without gall. Likewise Jesus when offered the gall and vinegar to drink on the cross of Calvary refused it so he too was without gall. And in His character He, like His Bride, His dove, was without gall or bitterness. They are one. They are alike. Like the light of the moon is only a reflection of the sun and the moons beauty a mirror of the suns radiance, so the bride is only as beautiful as she reflects his image. The brilliance of her light is relative to her position in relation to him and this depends on her closeness to Him. Intimacy with Jesus is always the key. 2) The dove is the only bird that does not have peripheral vision. It cannot see from side to side but must move its head in order to focus on what it is looking at. It cannot swivel its yes. They are fixed. The dove can only see what is in front of it. It only has eyes for that which is directly in its gaze. The Bride looks only to Jesus. She only has eyes for Him. They are fixed on Jesus! And that is what the Holy Spirit is dedicated to do in you. He is passionate about Jesus and the Father and about them getting all the glory. He seeks to cause you to fall in love with Jesus. In the Old Testament we see another picture of the Bride of Christ in the character of Rebekah. Rebekah is very much the serving, obedient, submissive bride. We first meet her at the well of service getting the water for the flocks. Though tired from her efforts she doesn’t hesitate to draw water for Eleazor, Abraham’s chief servant and voluntarily offers to draw water for all his many camels as well. Eleazor has come a long way on a special assignment from his master, to find a wife for Abrahams son Isaac from his relatives and he had come for Rebekkah. There is so much in this story of significance. Abraham represents the Heavenly Father who is even now sending His servant Eleazor, the Holy Spirit, into the world to find a Bride, Rebekkah, for His Son, the Lord Jesus Christ….Isaac in the story. Notice the Bride will always be found serving when He comes. She has a servant heart and loves to minister to others. She will also always be at found at the well drinking of the water of life. She is thirsty for Him. She is an obedient submissive bride and willingly returns with Eleazor to meet the husband she has never seen on a journey she has never taken before with a stranger, Eleazor, she has only just met, to a land she doesn’t know. But she trusts her God and leaves. I am often amused when I think about that journey home to meet Isaac. It was a long way. What did they talk about do you think? If Eleazor was a true representative of the Holy Spirit then I know what he talked about. He never stopped talking about Jesus! By the time Rebekkah arrived she knew her husband inside out and was desperate to meet him because Eleazor had described Him in so wonderfully that she was now madly in love with him. And isn’t that what the Holy Spirit does. He always glorifies Him and teaches us about the beauty of Jesus. He always leads us to Jesus. Now I want to talk about the first part of the title and show how God evaluates success and how the desire for success has unhealthily dominated many pastor’s personal agendas and church programmes. May I start with a personal testimony? Early in 2004 I was travelling in Western Kenya and drove into a large town when I saw what looked and sounded like a Christian crusade. I was thrilled that the believers here were out on the streets and in the centre of the market area preaching the gospel. The Church seems alive here I mused. As I drove on down the main road I discovered that there was another crusade with its PA thumping out a Christian song which was a little difficult to recognise because of its overpowering volume and the consequent reverberation it produced. They seemed to be oblivious of the other group which was making similar sounds only a few metres away. “Why two crusades in the same spot?” I thought, but before I could process an answer I saw a third Crusade where an over enthusiastic pastor was preaching partly in the local language and partly in English and partly in tongues regularly interrupted by many “Hallelujahs” and “Praise the Lords”. So often our Pastors and Ministers are driven by a spiritual ambition to build a personal empire, to oversee a number of networked churches and so to attain to the title Bishop. Such vision inevitably leads to jealousy and possessiveness and is controlled by a spirit of independence and pride. There is little understanding of territorial church or the One Church of the town or city, state or the nation they reside in. The Church of Jesus is so divided and disunited with too many small independent churches in any given area. When I was travelling through a major city in Nigeria for example I counted in the space of about fifty metres at least 14 different church along the same stretch of road. Why is it that every young Pastor in our major cities thinks that to be successful they must have there own TV station? By do they seem to want to be like Benny Hinn or Chris and have there own mighty miracle and healing service. Is it that which defines them as being successful? I even had a pastor in Pakistan running up to me to tell me some great news that he had received the ‘Gift of Slaying’ because when he prayed for people they all seemed suddenly to fall down under the Spirit. He was so excited. I had to counsel him that really there was no such gift and if that happened when he prayed and it was genuine then it was a demonstration of the Holy Spirt at work and he should feel very humbled and be in awe. It was not a measure of the man’s success rating. “I DON’T WANT YOU TO BE SUCCESSFUL.” He said. “But Lord”, I protested. I was preparing for my next mission and was praying that it would be successful. I was crying out for anointing but now…..I was needing to seriously check my motives. “I don’t want you to use the word ‘successful’ anymore because it’s been corrupted!” He said. “Look at the books in the Christian market. Look at their titles… “Ten ways to become a successful Pastor” or “Five ways to fill your Church with new members”, as if applying marketing techniques can pave the way to success. Illustration 1) A pastor’s journey towards so called success. A young Pastor decided to evangelise in a nearby village. He entered the village on foot and after preaching the gospel there started a church. The following month he returned to that village again on the Sunday to take the service but this time he was not walking. He rode in on a bicycle. “Oh” the believers said “God is blessing the Pastor because of his success”. The next month he rode in on a motor bike and finally in an old car. The congregation were impressed and praised him for his good fortunate and put it down to his preaching ability and quality of his pastoral care. Finally he drove into the village one day in a Mercedes Benz and announced that he had received a promotion and wouldn’t be pastoring the church any more but the big one in the city. As he got out of the car they saw he looked different. He had a long-jacketed suit on and was walking like TJ Jakes. They all thought that God must consider him to be a very successful Pastor….. but was he? Illustration 2) The numbers game. The Conference speaker then shook hands with another pastor. Finally the speaker found a friend of his and shook his hand too. The point was made. We had made a moral judgement about each pastor’s success based on the numbers in the congregation and assumed that the pastor with the largest congregation was more successful than the pastor with the congregation of 15. Why is success so important to us? What might be the possible reasons for our pursuit of success. It is all to do with our desire to be significant and fulfil our purpose. Man was given responsibility by God and that gave him purpose and significance. But power has the ability to corrupt because of the sin and selfishness in man’s hearts. Instead of leading and exercising stewardship over all creation, he began to control insensitively and dominate cruelly. He abused his responsibility given by God and lost his privilege and the sense of God given significance. Man consequently is still looking for that personal significance. So what gives us significance? We need to be appreciated and valued by others around us and it is the sense of being valued, that above anything else, gives us a sense of significance. But if God has made us and made us for purpose then what He says and feels about us is of far greater worth than anything else. When we know that He values us then that gives us a sense of great significance. Its what God thinks of us that really matters and what we mean to Him. To be successful in His eyes is to fulfil His purpose for us and accomplish that which He values. To be successful then is related to what God considers to be valuable and worthy of appreciation. So what does God value the most? This story gives us some understanding I think. A friend of mine had an amazing vision. It was literally life changing for him. In his vision he was transported to heaven and found himself in the Outer Courts. After a while as his eyes got accustomed to the glorious light that was there he began to recognise that he was not alone and he saw several people he thought he knew. They were not ordinary Christians but men and women of the past who were known for their great Christian commitment and service. They had all achieved great things in their earthly life. But why were they here and not in the Inner Court? Surely they deserved to be nearer the Throne Room because of their accomplishments? After a while he decided to go up to one he particularly recognised and ask him. Then quite suddenly my friend was transported into the Inner Court itself and he became quite dazzled by the intense light and the radiance of the glory. His eyes took a long while to adjust. When they did he saw that once again he was not alone recognising many more saints from previous generation who had made great contributions to Church history. However the question remained the same…Why where they here in the Inner Court and NOT in the Holy of Holies, in the Throne Room? Eventually he took the courage to go up to a famous women, a leading reformer and Christian writer that he recognised and put the question to her. She too dropped her head and finally after a long while answered. “My dear, I’m so so grateful to be here and enjoy this beautiful place but you see I’m not in the Throne Room because I loved my writing more than I loved the Lord”. Eventually my friend found himself in the very Throne Room itself. He was completely stilled by the awesome atmosphere, the dazzling golden light, the incredible arks of colourful rays that radiated all around, upwards and outward and cascaded in a sort of rhythmic song of praise. He could not make out shape or form. He felt as if floating yet safe and secure as if suspended in liquid love and he wanted to stay there for ever. Little by little his eyes got accustomed to the light and then he realised all this radiance came from one place, the very throne of God Himself. The throne and the Presence on it was just wrapped in a blaze of glory. He could hardly lift his eyes towards it. He looked around and saw no one, but as he gazed towards the direction of the Throne he could see at the base of it a small dark shadow in the shape of a person kneeling or rather crumpled over the few steps that preceded the Throne itself. It was a woman…..a woman weeping, and in deep adoration and worship. He felt embarrassed and wanted to withdraw but his curiosity riveted him to the place where he stood. Who was she? What had she done in her earthly life to cause her to receive such an honour as this…..to sit at His feet! He didn’t recognise her at all. What was her name? What had she done? Finally as she readjusted her position at His feet and wiped her face he took advantage of that moment and stepped a little closer. “Excuse me. I’m so sorry to interrupt but I’m confused you see. I have journeyed through the Outer and Inner Court and met many great Saints of God there whom I recognised and knew by name but here in the Throne Room at this moment of eternity there is only you and you are at His feet. But I don’t recognise you. The woman stopped for a long while and then looking up at the Throne. Then, with a deep sense of adoration she said….. I am……. HIS! 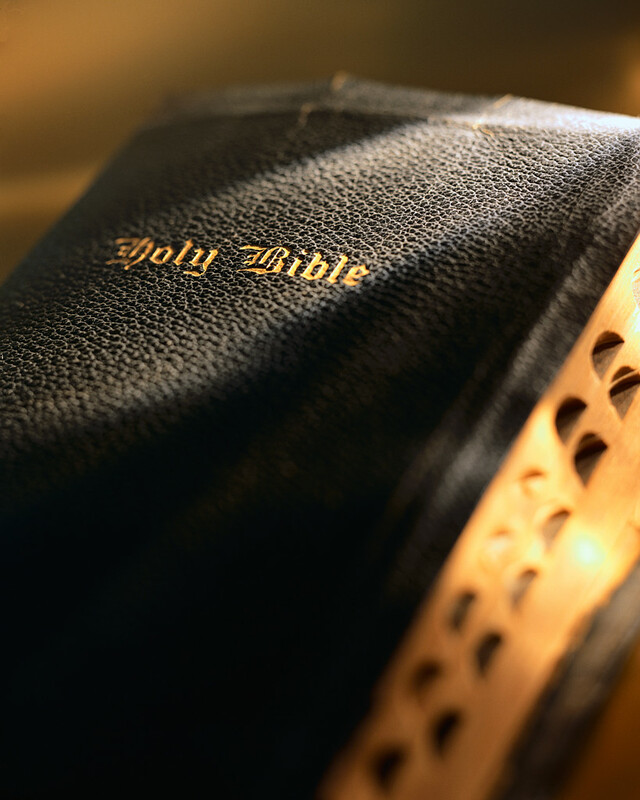 Scripture is clear that the things that God values the most is our love for Him. The first command was the command love the Lord your God. Duet 6 v 4 and 5 and Luke 10 v 27 says…He answered, “’Love the Lord your God with all your heart and with all your soul and with all your strength and with all your mind”. This is not superficial love but a love that is complete in every way. It involves a complete response with all of our heart, soul, strength and mind. The “heart” is the inner nature of the man, including his intellectual, emotional, and cognitive senses; the “soul” is the personality, the entire self-consciousness; and the “might” is the sum of the energies, bodily and mentally. Not by profession merely is He to be loved; the whole man, body, soul, and spirit, is to be yielded to him in holy and devoted affection. These verses describe a ‘Oneness’ that Jesus longs for with all of us who believe in Him, follow Him and love Him. But that ‘Oneness’ is more than a unity. It is a synergy, a coming together of heart soul and body, in a relationship that is found only in a Christian marriage where the two have become one. If God intends the relationship between Jesus and His Church to be a relationship between the Bridegroom and His Bride then our identity as The Bride of Christ will inevitably give us our most true and greatest significance. Our end time identity will produce our greatest security and sense of fulfilment. It’s in the moments of sensing our deepest intimacy with Jesus that we know our true significance. Jesus told us that because we believe and have the Holy Spirit we are even know the Sons of God. Knowing we are His Sons and daughters and part of His family and that He is our Father give us such a sense of significance. We are not servants, not just friends but sons. But knowing we are His Bride invites us into an intimacy with Him that surpasses all other relationships. Knowing our true identity as His precious bride gives us our greatest significance. What He actually said was…..
A rider to this testimony. Sometime later on another visit to the same area the same young woman came up to be and introduced herself to me again but this time she said, “Hello. Do you remember me. I’m not Successful any more. I’ve change my name officially to ‘Eternally Significant’”.